Contains Elephants Know Best from Rooster and Pig Publishing. Dogs aren’t the only creatures that are man’s best friend! From 101 Dalmatians to all the animals in Dr. Doolittle, animals have ways of bringing people together that’s almost its own type of magic. Within the Kritter Tails anthology are five heartwarming stories about men and their animals, and how the mix brings about relationships that may never have been. Contains The Two of Us from Storm Moon Press. Contains The Four of Us”by Lor Rose from Storm Moon Press. Austin and Loren have been together for sixteen years and own a small cattle ranch but something was missing. Their love was playful, youthful, and fun, but they knew there was more for them. What that more was, they didn’t know. Talk of adding someone else interested the couple but no one had the spark they craved. What Hugh found he didn’t expect but maybe, just maybe, he was worth something after all. Contains Life is Unforgiving by Lor Rose from Storm Moon Press. Contains Commencante de Guerre”by Lor Rose from Storm Moon Press. 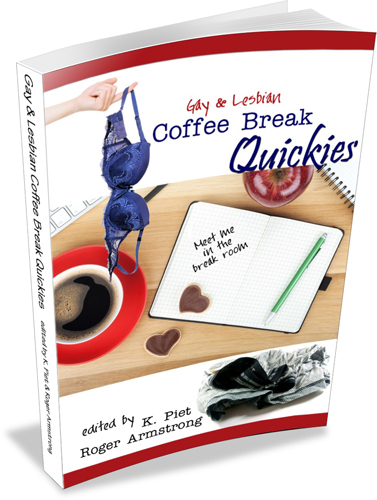 Contains His Nonexistent Coffee Break”by Lor from Storm Moon Press.